Anupama Dathan is a Senior Policy Associate at J-PAL who manages the Health sector. In her capacity as Senior Policy Associate, she writes policy publications, cultivates new research partnerships, and conducts policy outreach for evidence dissemination. Prior to her time at J-PAL, Anupama worked in a number of positions related to health policy and research, including maternal and child nutrition at the Results for Development Institute (R4D) and communicable diseases and vaccine access at the ONE Campaign. 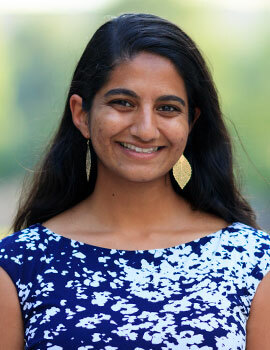 Anupama graduated with a master of public policy from Georgetown University’s McCourt School of Public Policy and with a bachelor of arts from Duke University.